The movie of your life stops for a moment as if someone hit the pause button on the video camera. “It” happened. . .
You define the “it” in your life. Maybe I haven’t mentioned it but we all have one. By now, you might have found yourself feeling the need to forgive but you don’t know where to start. Unforgiveness is a disease that sets in slowly. The moment you choose not to forgive one person, it slowly starts to spread. From that day forward, you become paralyzed and more incapable of forgiving even the smallest of offences. Oh you say, you forgive but really you’re just pushing it down into the frozen tundra below. I don’t care how great the offence is or how impossible the mountain looks to climb, just keep walking, keep moving even if you must crawl. 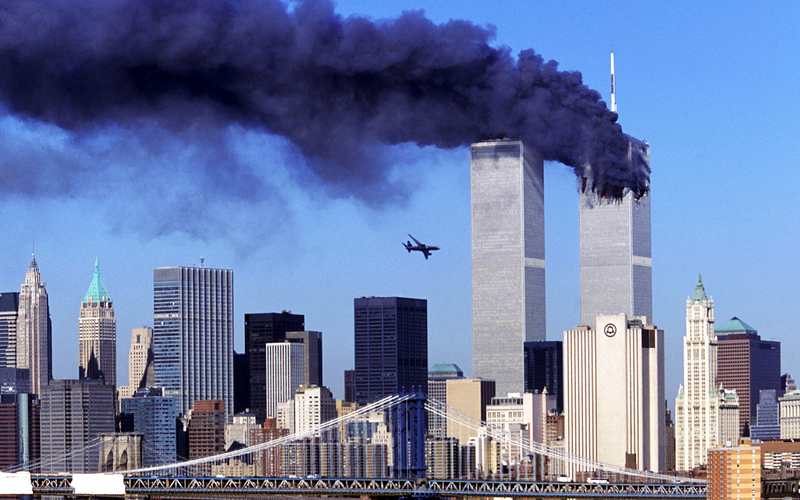 We’ve all had our own September 11th experience when you ask God how do I forgive that person for causing such pain. Oh, the wound can be so large, the pain so great that you wish to seek out things to help numb the pain. Maybe it’s alcohol, pain pills, avoiding reality by burring yourself while reading on the internet. I’m not trying to minimize the experience or say it’s not a big deal. It is a big deal, and that’s why you still might be reading this post instead of clicking on to foxnews.com. Our 9/11 moments in life will never be forgotten. How can they be? 9/11 changed the course of life for us that day as a country. Likewise, our personal 9/11 moments change the course of life for us in our own worlds as things may never be the same. When situations occur, it doesn’t mean God has departed. God gives mankind a free-will choice and people the ability to do hurtful things. The hardest things sometimes to hear from someone in your moment of pain is the downplaying of free-will choice and in a sense they blame God for the situation. As one of my spiritual mentors always says, “He works all things for good in spite of what happens but that doesn’t mean all things are good.” Tell the abused child that it was just supposed to happen that way and you will scar that child for life. Or even worse ,destroy their view of God. We are not robots and neither is God a mad scientist. He hurts when you hurt, He feels your pain. He is there to help you pick up the pieces. He was there after Adam and Eve messed up the whole thing. Depending on the situation, the process may take moments, days, weeks or years but God only asks us to keep walking, crawling and forgiving on the level He’s showing us each day. But when the day comes that we no longer want to walk along in the journey of forgiveness, we began to turn from the Light, one small step at a time. Slowly our world changes but because the change is so slow, we don’t recognize that we are changing for the worse. Friend, you may feel a past wrong is impossible to forgive but I’m here to tell you, the only person(s) that you’re hurting is yourself and those closest to you. I’m reminded of the woman with the issue of blood. The Bible says she had this condition for 12 years and had been to every doctor she could afford. Considering the life expectancy was 50 for the most healthy in Bible days, she had been working through this issue for a large part of her life. Maybe you find yourself in a similar situation today. I love the use of the word issue by the translators. While not in the same context used in the verse, we all understand the phrase, “I have issues”. So let’s go further in our journey together and talk about your issue (it experience) in respect to the story. You can imagine that she probably went to every priest, teacher or fellow Jewish believer around and asked for help once she ran out of money. If she lived in today’s society, she would be on the web and youtube searching for a cure. I know I have done the same but never found the cure there. Issues are just that, issues. Issues are things you can’t solve yourself, you can’t stop it from flowing. In fact the word issue in Greek means “flowing issue”. Do you find yourself today in an issue that is flowing? An issue that just keeps running further and further away from you? You try to stop the running but it just seeps through the smallest cracks despite your best attempt to not let this things affect you. You know the mindset I’m talking about. “I’m over this, I’m no longer going to allow this to affect me” but then it pops up yet again. Pay attention to the word fountain. Fountain here means “a well fed by a spring”. Wow! Do you have a wound or wounds that is still flowing like a well fed by a spring? The pain still so strong you can feel it as if it just happened. So how do you forgive issues from the past or present that just seem to keep flowing away from you and beyond your control? As hard as it may be, let yourself fall down on your knees and start crawling towards Jesus. I don’t care if you can only crawl 2 feet and fall under the weight of your issue. I’m not asking you to deny what has been done to you or said about you, just don’t stop crawling in the process of forgiveness. If she would have stopped crawling through the crowd of humanity that day, she would have died as Jesus was her last hope! This woman had been to every pastor, every church, every doctor every counselor around as it were but still hadn’t resolved her issues. She still hadn’t forgiven because the wound was still flowing and she was on her last leg. 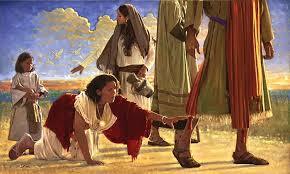 She knew she was close to getting to Jesus but those last few crawls or steps had to have been the hardest. Can you imagine how she might have felt ? The Bible doesn’t tell us how long she had to walk from her home to where Jesus was that day. She may have been tired, hungry, or feeling her worse ever but she kept crawling. Oh but when she finally made that last crawl past that last person who was between her and Jesus, her life changed. As she reached out and lay hold of Jesus’ robe, a healing in her life took place that has now been talked about for 2,000 years. Why? Because she was willing to crawl through the crowds of people. Friend, maybe you’ve started the long crawl through the crowd and you’re still hurting. Just don’t lose glimpse of the feet of Jesus while you crawl through the crowds. And when you’ve made that final push, that final choice to look past the feet of those who have hurt you, He will be there to change your life forever. I know, I made my last crawl March 29th of this year at 3:35 and He was THERE! The name of this post was inspired by the following movie clip. This is my inaugural Post! Enter your email address at the bottom of the page for weekly email alerts when new posts go up. Excellent post! Forgiveness is a key point in our relationship with Jesus Chris, un-forgiveness can make us miserable. Very well thought out post! Wow I enjoyed this very much! This is so relevant to where so many of us are walking today. Thank you for this post and please continue I look forward to the next one. Forgiveness a key to freedemon. Great job. I am happy for the new things you are learning and sharing. Keep it up…many will be touched!